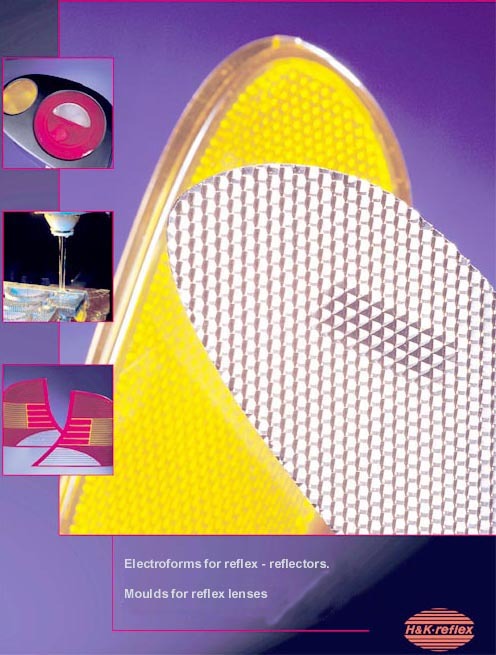 JDL Technical Services is also your North American representative for H&K Reflex GmbH - Manufacturers of high quality Electroformed Reflex Reflectors used in the automotive lighting market worldwide. 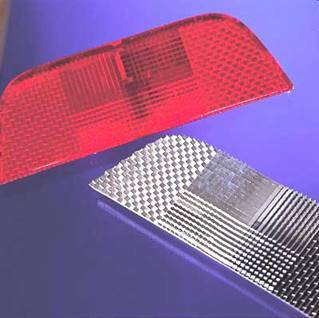 Our customer base is worldwide and includes the leading manufacturers of automotive rear and side marker lamps. Moldings produced from our electroforms are capable of meeting both ECE and SAE standards. H&K also makes electroforms for warning triangles, driveway and road markers, bike reflectors, etc. Test reports of reflex readings can be provided in our 100 foot light tunnel. Please let us know if you have any questions, if we can be of any assistance or need a quote on your next reflex lighting project. H&K Reflex welcomes all inquiries. For all North American (NAFTA Region) Technical Sales support or inquires please contact Jeff Lambing at 519-919-7391. Contact by e-mail at Jeff.Lambing@HKreflex.de or HKReflex@JDLTech.ca.